It’s a wonderfull day for this princess: today she will marry her prince! They will go to the wedding in a beautiful coach and will live in a castle after their wedding. Look for a beautiful dress for this princess and find some nice accessories. 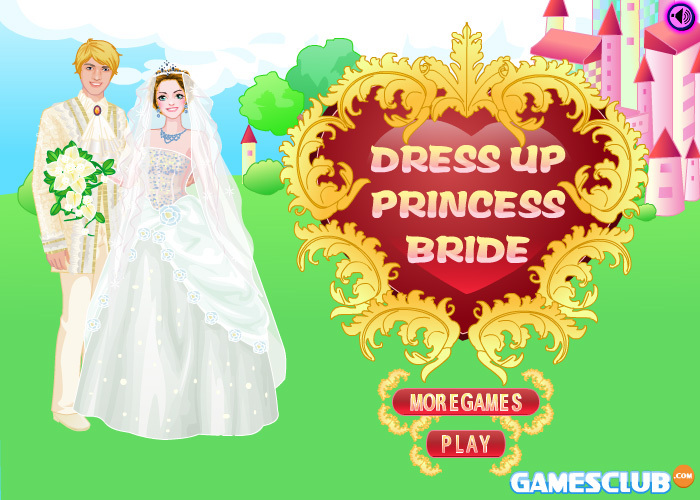 You can also put some make-up on this princess bride and choose different hairstyles for her. I think this prince and princess will live happily ever after!